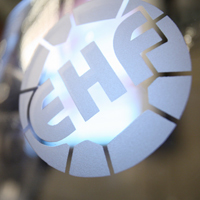 The EHF is look into the issue of club ownership ahead of next season. At its meeting on 25/26 February 2010, the EHF Competitions Commission looked into the issue of multiple club ownership and arising conflicts of sporting interest where different clubs in the same competition are owned by the same organisation, person or persons. As the current regulations of the EHF do not provide for such a situation, it was decided that the EHF will further examine the issue, looking in particular at examples from other team sports through the EHF’s partner sports in the Association of European Team Sports, these include volleyball, football, rugby, ice hockey and basketball. The EHF will furthermore seek to begin a dialogue with clubs where multiple ownership may be an issue now or in the future to examine the best way forward so as to avoid any undue influence within a sporting context. The issue will be further discussed at the EHF Executive Meeting on 8 April 2011 with a view to the introduction of regulations dealing with the issue from the beginning of the 2011/2012 season.